Immediate download of [How Long Has This Been Going On?] in your choice of 320k mp3, FLAC, or just about any other format you could possibly desire. This is a groovy version of well worn standard. 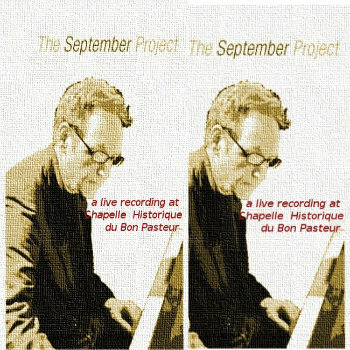 This is a live recording, (unmastered) of our performance of "The September Project" at Chapelle Historique du Bon Pasteur in Montreal, September 10, 2011. Soon to be released.